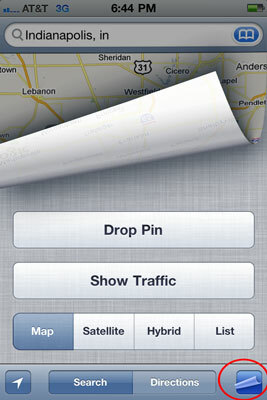 Your iPhone has a Maps app to help you get where you’re going. And you can even bookmark maps if you think you’ll use them frequently. 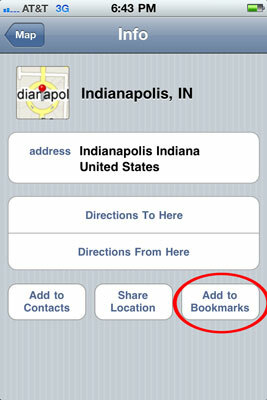 These bookmarks in the iPhone Maps app let you return to a location without typing a single character. Tap the curling page button in the lower-right corner of the Map screen. A pin appears when you dropped it. 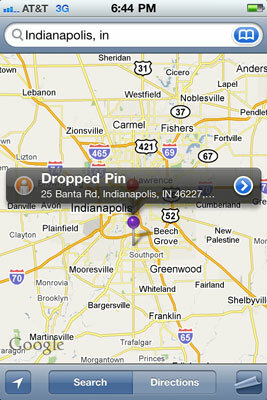 Press and drag the pin anywhere on the map. 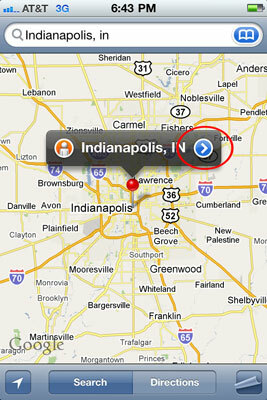 A banner with the location of the pin (if Maps can figure it out) and a little > in a blue circle appears. Tap the little > in a blue circle to the right of the location’s name or description. Tap the Add to Bookmarks button on the Info screen.